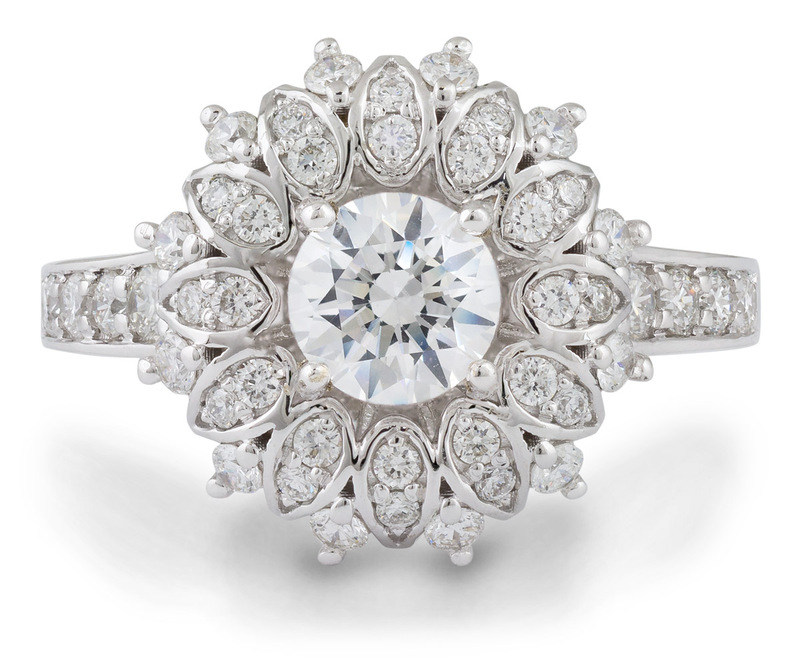 An elegant twist on the halo design, this vintage style engagement ring features a pincushion shaped halo with four distinct points giving it a refined and sophisticated look. 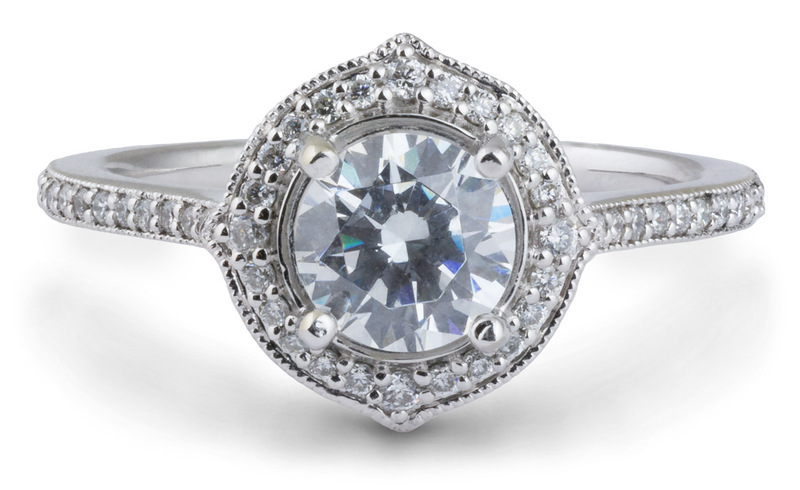 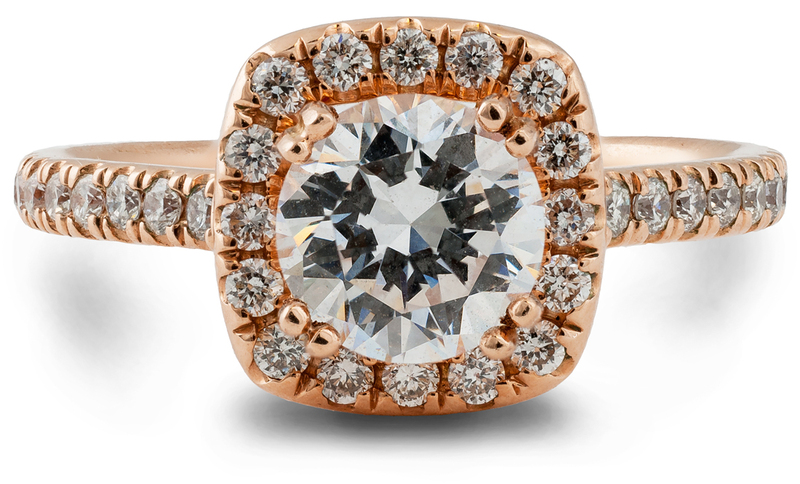 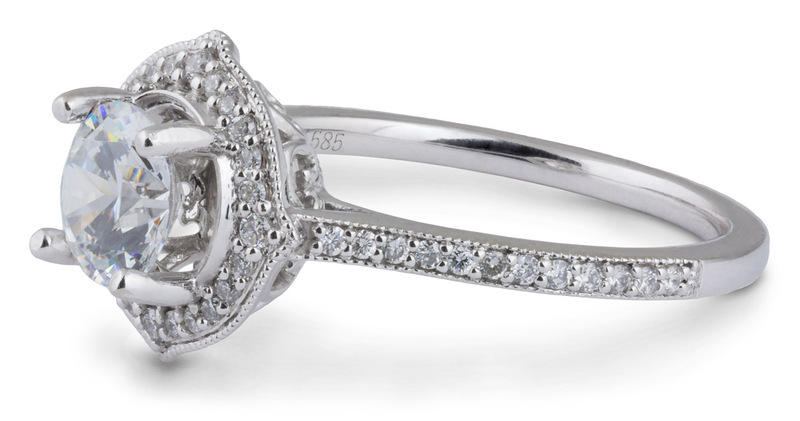 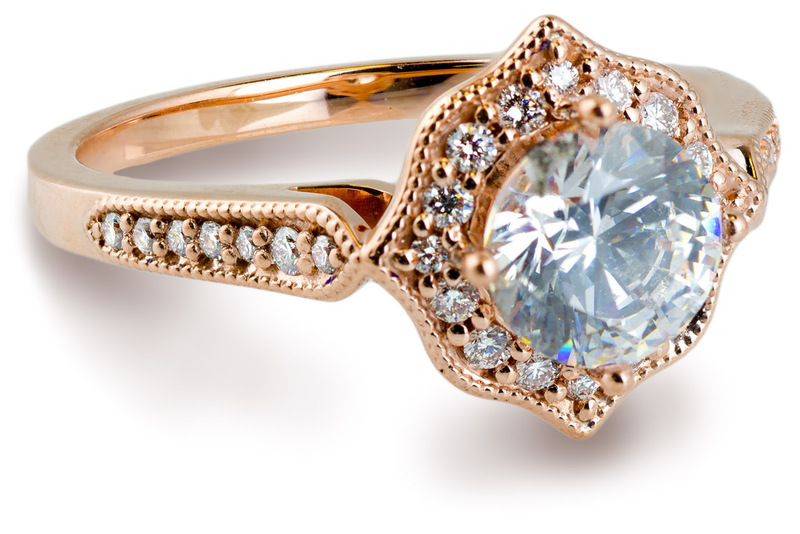 Glittering accent diamonds rise up the sides of the shank to meet the halo at either side, while the classic milgrain pattern around the edges enhances the vintage feel of the piece. 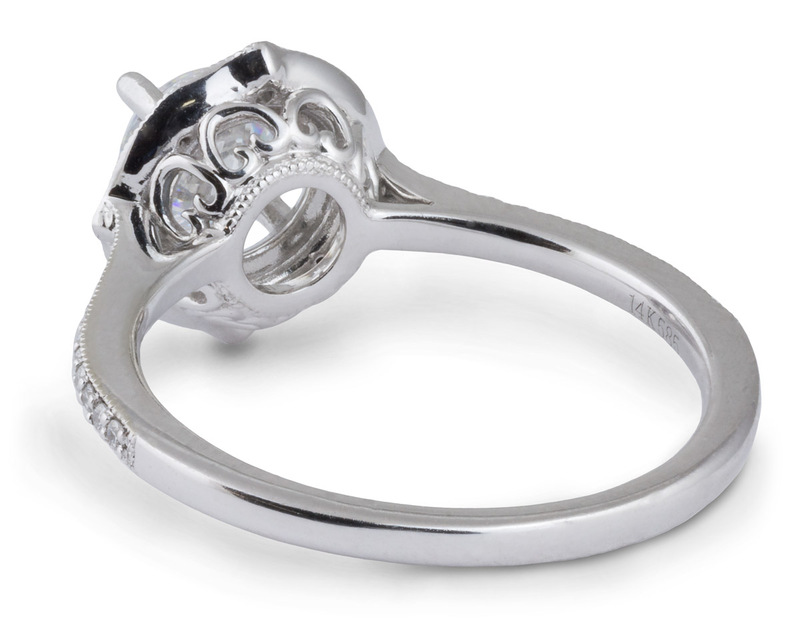 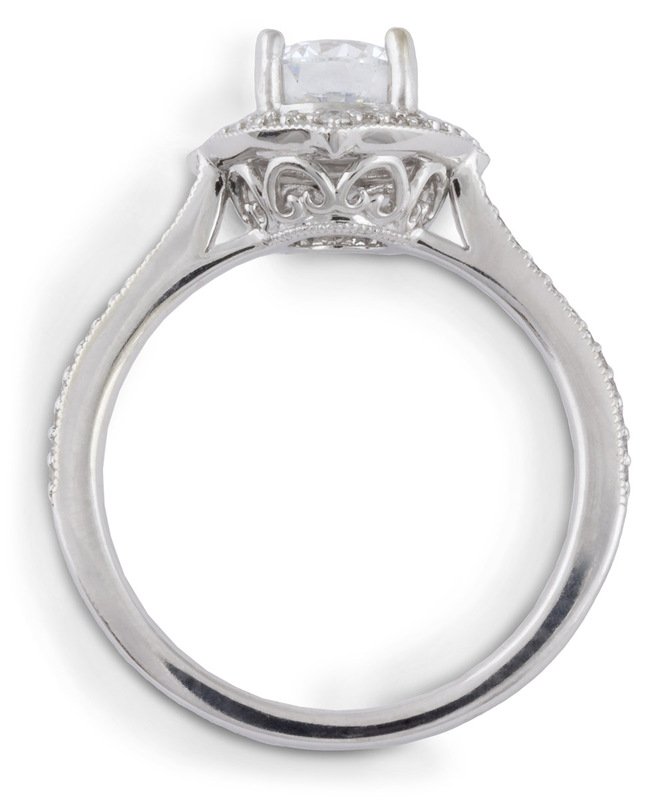 Delicate filigree in the gallery beneath the halo adds the final touch to this stunning engagement ring.